Whatever you want to call it it’s right around the corner. For many (this writer included) Halloween is the end all be all in celebrations; it is, if you will, our prom and most of us treat it accordingly. With crisp fall air giving birth to excitement as we prepare ourselves and our little ghosts and goblins for the big night. There isn’t another celebration that consistently brings out the kid in us quite like Halloween does. From planning our costumes months in advance in anticipation of being someone else or decorating and desecrating our normally pristine lawns. Sky is the limit when it comes to Halloween. CANDY! Yes! Lots and lots of candy! Candy is key, for those of us who’ve pulled the short straw and are holding down the fort, it’s good to have a formidable arsenal of treats for all the little ghosts and goblins lurking about. They don’t ‘trick or treat’ for nothing you know. Don’t be the one to give out fruit, you could end up regretting it by the end of the night, especially when the bigger kids come out, looking to score. 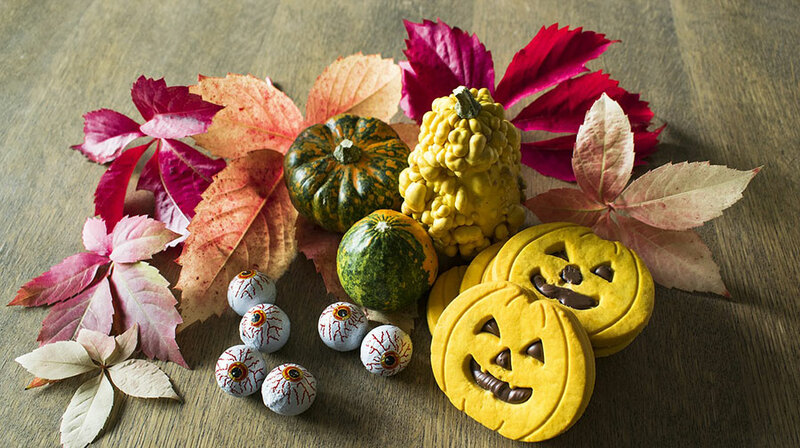 If your kids’ school celebrates Halloween why not make a big batch spooky treats ahead of time to send along with your little ghoul to share with his/her classmates and teachers? Something like these cute Spooky Meringues. When following our storage tips you can even cook them days in advance and keep it fresh for the party. 1 Preheat oven to 225o F or 105o C.
2 Using an electric mixer, beat the egg whites for a few minutes on high speed until they become frothy. 3 Add the sugar a little bit at a time. 4 Mix in the cream of tartar. 5 Continue to whip the mixture until it stiffens. 6 Prepare your baking sheet with parchment paper. 7 Place your meringue mixture into an icing bag. 8 Using your icing bag and a large round icing tip, continually press the meringue mixture directly down onto the paper. The first few may look a little gnarly but you’ll get better and kids really don’t care. It’s just sugar. 9 Bake them until the tops become a nice golden colour. 10 Once they are completely cooled, they will harden and be ready to decorate. You could let your kids help. 11 Add eyes and mouths to your little ghosts. 12 Vacuum seal them in Vacuvita containers. On behalf of the Vacuvita team, have a safe and spooky Halloween!